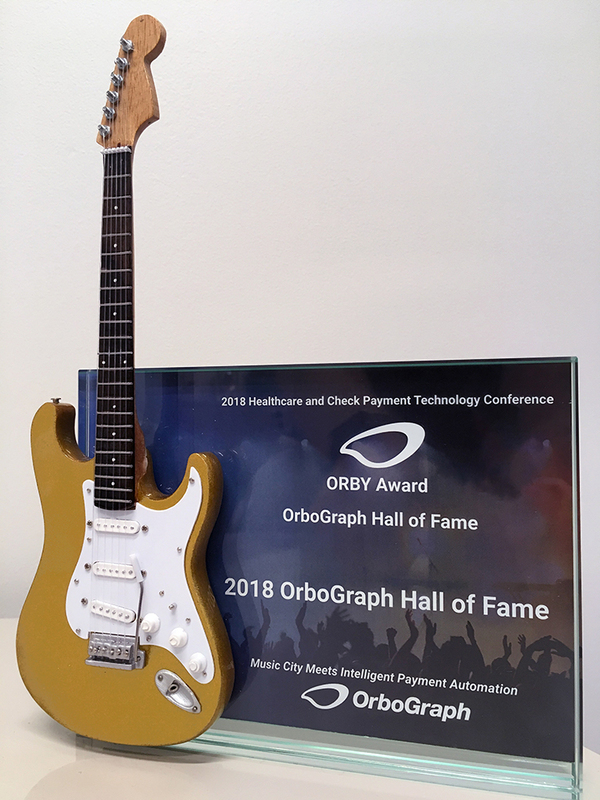 2018 Orby Award presented to inductees at the 2018 Healthcare and Check Payment Technology Conference, Hosted by OrboGraph. “OrbyAwards are our way of recognizing thought-leaders and innovators who make a difference in check and healthcare payments,” said Joe Gregory, Vice President of Marketing at OrboGraph. “In the area of check processing, Alogent, All My Papers, TD Bank and BB&T all represent companies who are deploying the OrboAnywhere platform to modernize operational platforms, solve business operational problems, improve efficiencies and reduce risk and fraud,” stated Barry Cohen, Co-President of OrboGraph. Special recognition was given to Vijay Balakrishnan for his visionary impact in check processing. Additionally, the Vicennial Award was created for TD Bank, OrboGraph’s initial client, who also implemented multiple systems over the past 20 years, including OrboAnywhere Payee in 2017 with Alogent for ATM processing automation. OrbyAward winners can be found on the OrboGraph website.